If your business is not doing email marketing, you’re missing out big time. Let me put it another way – when you do email marketing you will get your business more. Let me show you why, and then show you how. Email marketing proven time and time again that it will get your business more sales, more valuable customers, more website traffic, and more bang for your buck. Your customers love it. 73% of consumers say they want to hear news and updates about brands via email. This is great – it means they’re okay with receiving your emails and may purchase again. You’ll get more valuable customers. Not only do they want to hear from you, but they’re more likely to buy more from you. Consumers who receive email marketing spend 83% more when shopping – and they shop more often. Email marketing is low cost, and has a huge return on investment. In fact, on average email marketing returns $43 for every $1 spent on it. It’s one of the most cost effective ways of doing marketing around. Here’s 5 simple tips to get the results out of email marketing that you’re after. Gather a list of people to send to. Ask people if they want to subscribe on your website, on your social channels, and wherever you do business. People will say yes, remember they want to hear from you. Send valuable news regularly. Be regular and you’ll stay top of mind for when customers come to make a purchase. Send an email at the very least once a month – and you’ll remind your subscribers how great you are. Tell subscribers what they really want to hear. Your subscribers have signed up for news about your business, your products and services, great information and that personal touch. Make sure you keep focused, and give them what they signed up for. Learn over time what your most popular items of news are, and send more of these. Make sure subscribers can read your emails. Your email should be readable on mobile phones, tablets as well as desktops and laptops. At least 25% of your audience reads on mobile phones – so help them out with a mobile friendly template. Turn subscribers into customers. Your email isn’t just a nice chat, it’s a business marketing tool. Ask people to do something after they’ve read your email and they’ll be more likely to do it – buy now, share this, enquire here, download the thing, visit our store for the discount, are all examples of calls to action. These aren’t pushy ways of doing business, and people will respond to your request. If you’re not already doing email marketing, you should be. It’s going to be worth it, and will be your most valuable marketing tool. Not sure how to start? Contact Clicky and we can get you started. If you have been doing email marketing, make sure you’re getting the most out it – take a look over what you have been doing, and fine tune it, or maybe just restart with a passion. 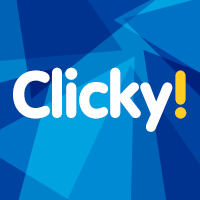 Here at Clicky Email Studio, we partner with businesses just like yours get more out of email marketing. It’s all we do! Don’t leave more sales, and more profit on the table by ignoring email marketing. We’ll create the right email strategy, and even do the work for you so you can get on with the things you love most.